A strong online presence will help just about any business. But for an e-Commerce business, a well-thought out website is a necessity. Your e-Commerce site is like a storefront. Your store may be full of all kinds of hidden and valuable treasures, but if it’s jumbled, cluttered, and dirty, few will be brave enough to venture in. While some may thrive on the hunt and love to spend hours scouring flea markets for that perfect little trinket, most people don’t have the time— especially if they’re shopping online. Most will simply move on to the clean, organized, easy-to-browse space next door. Same applies in the virtual world. The key is to make it effortless for people to find what they’re looking for on your site and make sure it’s easy to do business with you. Don’t make anyone work too hard—they’ll only get discouraged and quickly move on. After all, there’s likely another store just a click away. First impressions count—and nowhere is this more evident than online. Unless you’re a well-established brand, chances are your potential customer’s first introduction to you will be on your home page. If you have a physical storefront, you spend a lot of time making the façade look pretty, and your windows appropriately styled to entice people walking by to come in and have a look. Same should hold true for your home page. 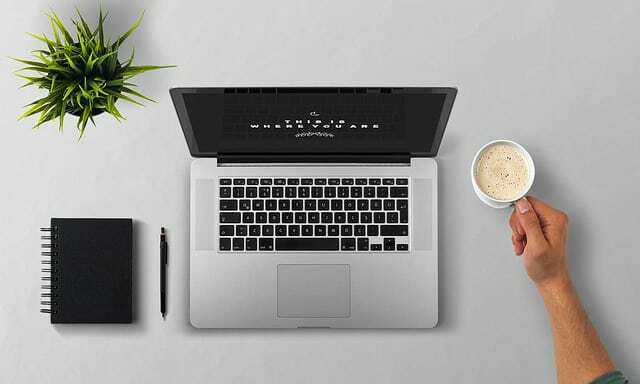 Your home page is where you want to encourage your visitors to have a deeper look—whether that means investigating your products, clicking on your about page, or learning what makes you tick through your blog. First and foremost, your home page should clearly convey what you’re about. You should have clear branding and make it easy for your potential customers to figure out what you’re selling. You also need to have clear navigation. This is the starting point for your customer, so you want to make it easy for them to find what they’re looking for. Your search box should be front and center, so it’s obvious. The design of your home page can go a long way to sucking people further into your site or turning them off. You can add some interest with appealing photography and other visuals, but keep it simple and clean. You also want to make it easy for customers to toss items in their virtual shopping cart, even from your home page. So, put your best products forward—just like in shop windows. Have links to your popular products and have a separate sale section. You know everyone loves a deal. Don’t be afraid to get personal. You can make a personalized customer experience by using such things as location, pages viewed, past purchases, the device being used, keywords, etc., so your customer feels that your site is tailored to their needs. • Link to your FAQ’s, so a new customer can easily figure out your return policies, what payments you accept, warranties and how long they’ll have to wait for their order to ship. • Have social sharing buttons to take advantage of free word of mouth advertising. • Display free shipping, or your flat-rate if that’s what you offer. • Consider using live chat software. • Display your phone number and a physical location if you have one to enhance your credibility and trustworthiness. If you’re the likes of Target or Nordstrom, people have probably heard of you. They may even have visited your physical stores. But what if you’re exclusively an e-Commerce business without a physical storefront? New customers may not know anything about you and may be wary of making a purchase from you. Enter the about page. Your about page is where you can build trust with prospective customers and allay their fears. You want your customer to part with their money—so you need to let them know that you’re legit. They need to have faith that their order will arrive. For starters, make your about page easy to find. Have a link from your home page. Don’t get too cute with what you call it. Use something like About Us, or Meet the Team to make it clear. The about page is where you can tell your story, but remember to keep it about the customer. Use your own voice and be consistent with the rest of your website. Explain what you do and why. Go ahead and infuse some personality. Introduce who’s on the team. Make it fun by adding interesting tidbits, such as the marketing director is an avid big wave surfer in his free time, or the warehouse manager grows prize-winning roses. Keep it real and let them know you’re human. It helps to include real photos (not generic stock ones), or even a video to keep it interesting. Of course, your about page is not actually all about you. It is a great place to let your customers know what you can do for them. Focus on how you can solve their problems. Remember to make it easy for people to get in touch with you. Your contact information should be in several locations on your website, including your about page. And as with all of your content, don’t forget to update your about page often. Keep it current and lively. Let your customers know about that hot new client or your latest design triumph. You can include select customer testimonials and links to awards. But don’t go overboard. Imagine a customer arriving at a grocery store and having to search for a shopping cart to put their goods in. There’s a reason stores put their carts front and center right near the entrance. The same should apply to your e-Commerce website. Everything should be intuitive to your customers. Make your add to cart/checkout buttons obvious. It’s also helpful to include images of the selected products right in the cart. It’s no surprise that Apple hits on all the major points with its virtual shopping cart. As you can see in the screengrab below, the cart is simple, but clearly conveys all of the important information. There are pictures of the items. The price is upfront, including estimated sales tax and shipping. There’s even a line letting you know when you can expect your package (free two-day shipping on orders placed by 5 pm). And the bright green check out button is just begging to be clicked. Of course providing accessible shopping carts is only the start. Even if your customer has flung a few items in their shopping cart, it’s not the time to get too excited just yet. BI Intelligence estimated that four trillion dollars worth of goods were left unclaimed in shopping carts last year. Shoppers do not like surprises, and they do not appreciate barriers. eMarketer found that 28% of shoppers didn’t finish the purchase because of shipping costs. Another 23% abandoned their goods because they didn’t want to make a new user account to complete the purchase. Make it as easy as you can for your customers. Don’t make them sign up for something. Let them check out as a guest and then give them the option to create an account at the end. Also, give them plenty of payment options. In addition to accepting credit cards, let them use PayPal or GoogleWallet, so they can just plug in a password, instead of having to search for their wallet. But don’t despair if customers don’t check out right away. Not everyone who puts items in their shopping cart plans on buying them immediately. For some, a shopping cart is almost like a wish list. Sure—those may be items they’re interested in purchasing, but they’re not quite ready to pull the trigger. 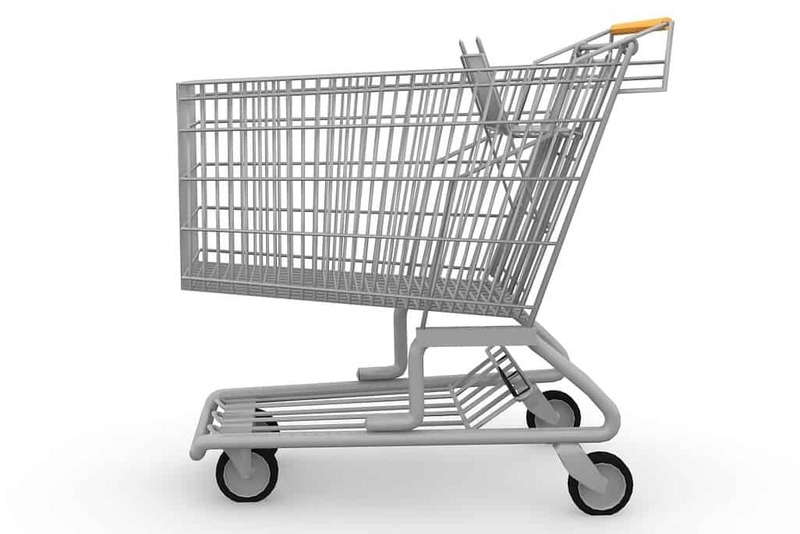 A “persistent” shopping cart allows people to put items in their shopping cart and come back days later, and those items are still tantalizingly there. They don’t have to search the items out again, which makes it all the easier for them to complete their purchase. Just having someone put items in a cart can be a victory of sorts. With that move you’ve captured all kinds of information. You now know what things they’re interested in. You can retarget these shoppers with emails after they’ve left your site. And if their items are still sitting in that persistent shopping cart when they come back, you’ve made it that much easier for them to finish their purchase. You may have wonderful products that throngs of people would love to have, but if no one visits your site, they’re not going to move from your shelves. All e-Commerce businesses need traffic to their site to make the sale. But how do you attract new visitors to your site? Well, one effective way is a blog. You may be thinking—ugh. I hate to write. But blogs are one of the best ways to build your audience, increase engagement and generate traffic to your site. Blogs are a bonanza for SEO purposes. By consistently posting new blog posts it shows that your site is being updated. And search engines will take notice. You can even create your content around certain keywords, drawing in more visitors. Just having more pages on your site will give you an SEO boost. A blog is a way to create compelling content vs. a product page, which will make it more likely that people will share it on social media. Blogging is a way to make yourself stand out as an authority in your field, not where you do any hard-selling. It’s fine to interject stuff about your company, but don’t make it all about you. A blog is where you can offer solutions to your customers’ problems and answer their pressing questions. • How-to tutorials. Let your potential customers know how they can use your products to make their lives easier. • Post about events that your target audience would be interested in. • Let your audience know about an upcoming sale so that they can stock up on your goods. • Talk about industry developments so you can set yourself up as a go-to source. • Describe how your products are made. A behind the scenes tour can be exciting. Whatever you write about, find an interesting angle and don’t focus solely on your company. If you provide something of value, people will soon be flocking over to your website for more information, and to hopefully make a purchase. For all our bravado and supposed daringness, most of us don’t like to be the first to try something. We prefer to hear about how it went for someone else first. Same applies to making an online purchase. Your customers want to know that others have gone before them and what their experiences were like. Reviews can give your potential customers assurance that you’re the real deal, and they will, in fact, get what they ordered, and it will fit their needs. iPerceptions found that 63% of customers are more likely to make a purchase from a site that has user reviews. And Reevoo found that reviews produce an average 18% uptick in sales. And reviews don’t even have to be positive to give you a lift. Even bad reviews have benefits. A mix of positive and negative reviews can really up your trust factor. If every review on your site is glowing, people are going to wonder if they’re fake. • Use third party review providers like Reevoo or Bazaarvoice. They authenticate purchases, so your customers know the reviews were written by real people. • Email customers after a purchase and ask them to leave a review. This is a tactic Amazon’s third party sellers often use. • Offer incentives. 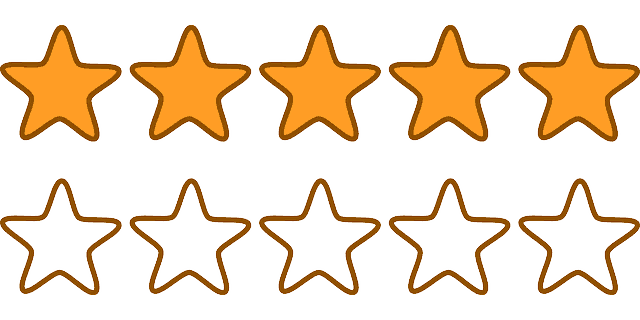 It takes time to craft a review, so why not give your reviewer a chance to win a prize. Reviews also provide unique content for your site, which benefits your SEO. Plus having reviews directly on your site also helps with keyword searches. Who hasn’t plugged in “product name + review” in the search box when looking for an item? Your website is not in a vacuum. A strong online presence is just the start. You need to carry over what you’ve started on your site into your real-world customer interactions. This means always providing excellent customer service by following up, delivering goods people want, and keeping your promises.